As a project or company grows, managing code standards throughout your team becomes virtually impossible. But consistent code is crucial to future development and maintenance. SSW Code Auditor lets you take control of your code and automatically review your web apps and projects - giving you more opportunity to spend time where it really matters. Here at SSW, we face the problem of maintaining our standards across nearly five thousand web pages, over twenty active projects in both Visual Basic (6 and .NET) and C-Sharp. 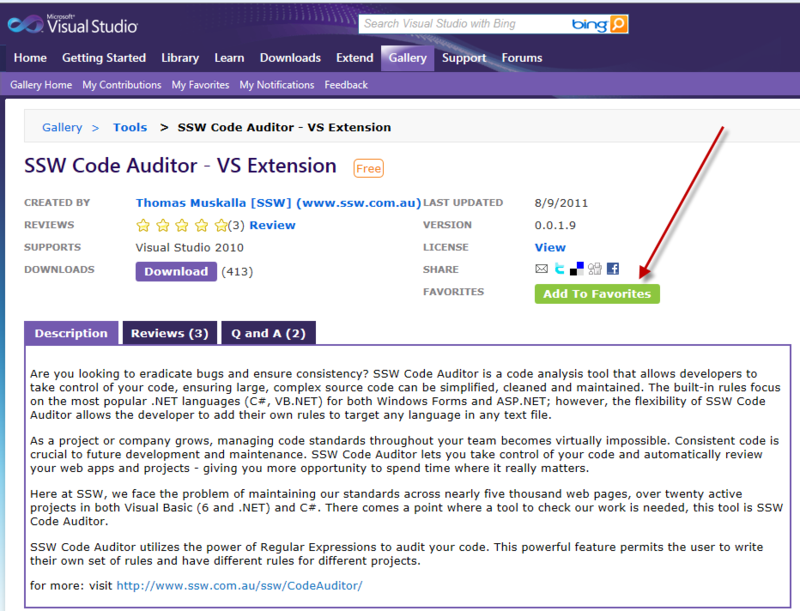 There comes a point where a tool to check (or audit) our work would need was needed, this tool is SSW Code Auditor. When you run the SSW Code Auditor there will be a step by step wizard to guide you through the audit process. To see a detailed walkthrough of how to create a new regular expression rule from scratch, see the Regular Expression Rule Tutorial. Select the designated Job and click next to the Rules Definition page. Click "Add..." on the bottom right of the Rules ListView. Select "Create a new rule" from the radio option and enter name for the new rule. Add general information of this rule. Enter the regular expression used by this rule and a regular expression in the search-in field to filter the files this rule run on. Tick the checkbox and enter the replacement text to automatically fix your code. You can test your regular expression on some simple test string before running it on your projects. The following images show how to create your expression. More information on regular expressions.